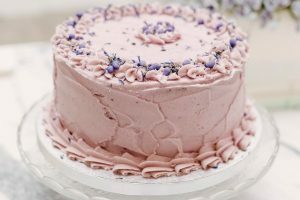 Muddy says: This gorgeous bespoke cake company is bringing London glamour and expertise out to the shires after the first Raspberry Room cafe opened recently, right here in our very own picturesque village of Brasted, near Sevenoaks. Be one of the first to take your girlfriends or granny here – it’s going to be super popular! If you haven’t heard of Raspberry Room yet, let me tell you babycakes, you’re in for a treat! This gorgeous bespoke cake company is bringing London glamour and expertise out to the shires after it opened its very first cafe recently, right here in our very own pictureque village of Brasted, near Sevenoaks. Be one of the first to take your girlfriends or granny here – it’s going to be super popular! With a successful bespoke baking service in London Raspberry Room founder, Ellie Ismail, then decided to open the first tea rooms in 2018 – and luckily for us it’s right here in Kent. The boutique bakery serves freshly baked cupcakes, cookies and cakes as well as savoury options for Breakfast, Brunch or Afternoon Tea. The ultimate meeting point for you and your friends. The Raspberry Room café can be found sitting pretty in Brasted, a village on the A25 just outside Sevenoaks, that is well worth a visit. With gorgeous homeware stores Holloways of Ludlow Home and HOUSE by Flower & Glory (the lush interiors arm of this popular Sevenoaks florist) on the high street you’ve got some fab shopping options to build up your appetite. 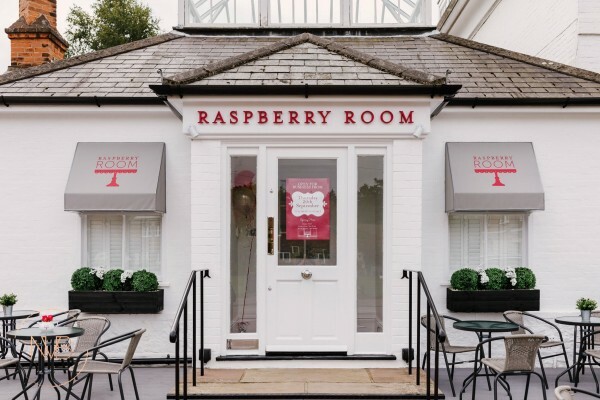 Then head to the Raspberry Room to choose from a mouth-watering menu that includes everything from Homemade Soup of the Moment, Smashed Avocado with Sweetcorn Zucchini Fritters or Champagne & Rose Waffles. Kids are catered for too – so it’s win, win! This is the perfect place to take your friend, mum or mother-in-law for a relaxed, girly bit of glamour. You’ll want to snaffle the branded Raspberry Room products including the ever-popular hampers and personalised aprons (gift vouchers are also available). Parties and events are also planned, including children’s parties and cookery courses so keep an eye on their website and our What’s On pages so you don’t miss out! And if you’re planning a wedding or party, look no further as this sweet treat specialist is one of the best in the business at creating beautiful, elegant and stylish bespoke wedding cakes, cupcakes, cookies and favours for every occasion. That’s why their client list is full of those with the most discerning taste – everyone from royals to Victoria Beckham and Stella McCartney. 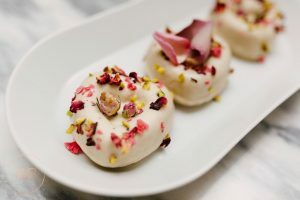 Their cookies and cakes have graced many A-list events such as Paris, Japan and London Fashion Week, store launches, press events and private parties all of which make them a highly sought after name on the party-planning circuit. Ellie and her team offer a highly professional, discreet and personal service to private and corporate clients throughout the UK. 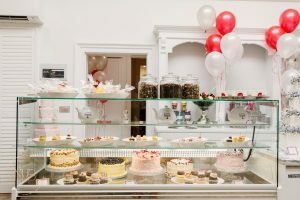 Choose from their spectacular collections of cakes, cookies, cupcakes and favours, or they can tailor every commission to suit all occasions including Weddings, Baby Showers, Birthdays and seasonal celebrations. At Raspberry Room, all their designs are hand decorated to perfection with impeccable attention to detail and excellent customer service. They are proud to use only the freshest and highest quality ingredients to ensure your edible works of art look visually splendid and taste… well, down-right delicious!